Accueil » News » Contribute to the financing of our new project ! 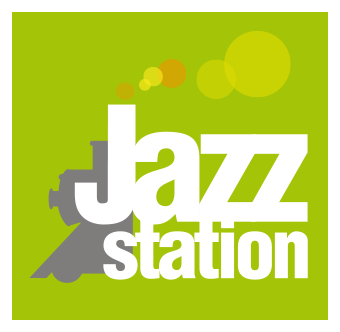 After almost fifteen years of existence, we can say without hesitation that the Jazz Station is full of initiatives and projects ! Indeed, this place offers much more than a jazz club in the « classic » sense of the term. Besides its concerts, this Jazz House hosts exhibitions, artist residencies, festivals, courses, conferences on music but also public rehearsals : Jazz grows here, at any time. The project will be collaborative : many great partners have already answered the call ! Les Lundis d’Hortense, Igloo Records, Spinach Pie Records, Hypnote Records, La Chambre Verte, The Jazz House in Liège, L’An Vert, but also several active personalities from the jazz scene : Georges Tonla-Briquet, Jacques Prouvost, Patrick Dave, Sabine Ringelheim, Patrick Bivort and Bertrand Squelard,… Of course, any ideas and proposals for video and/or radio concepts will be welcome ! Video capsules based on the same principle as « Tiny Desk Concerts » capsules or « AB Sessions » : a few songs, acoustic, with a small group and in a fixed place, filmed in a simple way but in high quality. A Youtube channel will be created. Varied and multiform radio shows (interviews, meetings, discussions, digressions, discoveries) broadcasted in podcast on the web, in which they can talk about their projects, their influences or talk about the musicians with whom they dream of sharing the stage. Several podcasts will be produced throughout the year.